Our personalized rehab programs include just the right combination of services to meet you and your horse's specific needs. BEMER is an FDA approved medical device from Europe for people and horses. Research has been ongoing since 1998 on BEMER, however BEMER is new to this country. Below are some of our vet documented successes. Flexible living. We offer different types and sizes of stalls for horses who need stall rest. We also have a variety of turnout and pasture options for horses who are ready to enjoy more movement. Hot walker. 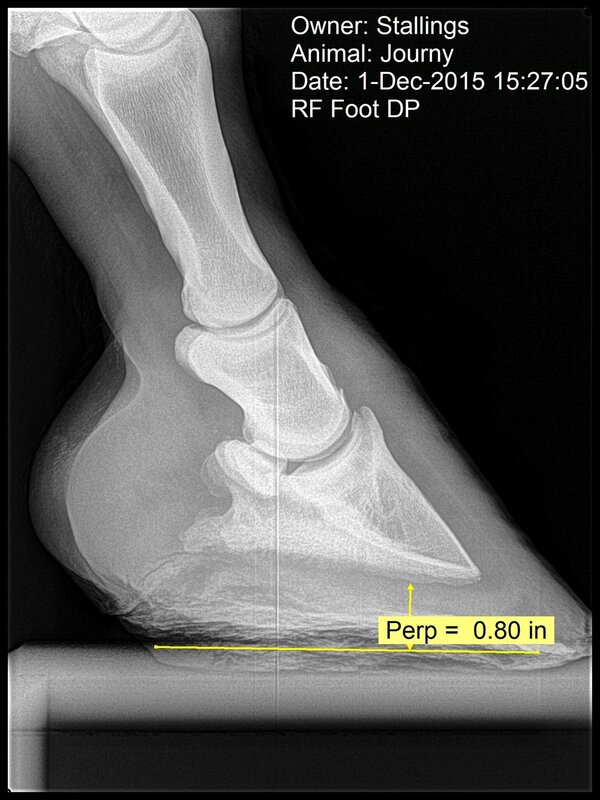 Experience has taught us that a hot walker, when used appropriately, is an important part of many equine rehab processes. It also increases safety during rehab. On-site care. We live on our property, along with other care takers. We take the time every day to give your horse the personal care and special supplements, etc, they need. We check each horse multiple times a day to make sure they are progressing and comfortable. Transition from rehab to training. We work with a number of our clients to prepare their horses for a return to training. We leverage our experience to leg your horse back up in the safest and most expedient fashion. Expert veterinary service. Vet instructions are very welcomed here & will be followed closely. If your vet cannot make it for any reason for follow up or further diagnostics Dr. James Bleak of Central Arizona Equine can be of service. 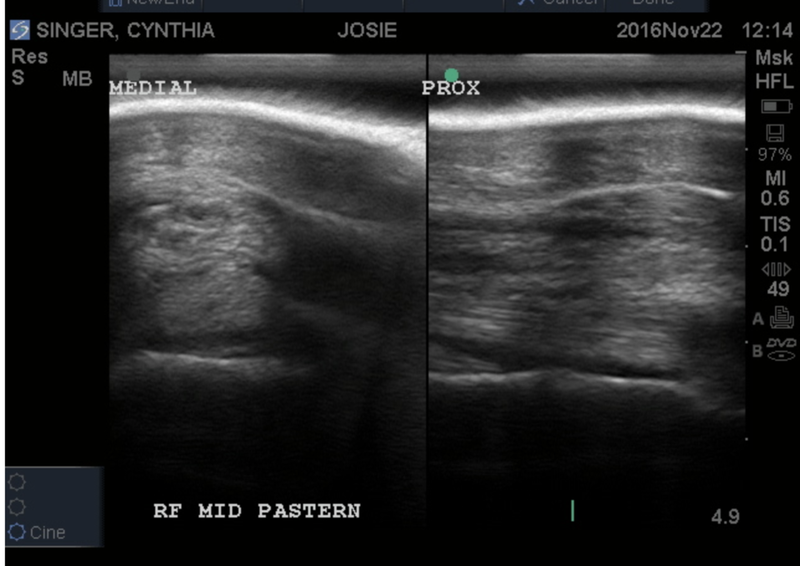 Central AZ Equine has the most modern ultrasound, x-ray and other equipment to give your horse the best ongoing support. Our facility is designed to provide the best in equine rehab. Our facility has an amazing energy that supports your horse's healing journey. Everyone who comes to check out our ranch comments on the quiet, powerful energy that you feel the minute you step onto our property. We know that happy horses heal faster! come see the best in Equine Rehabilitation and Recovery FOR YOURSELF. We've worked with a wide range of horses to bring them back to their best performance. The stories below share just a few of our many success stories. 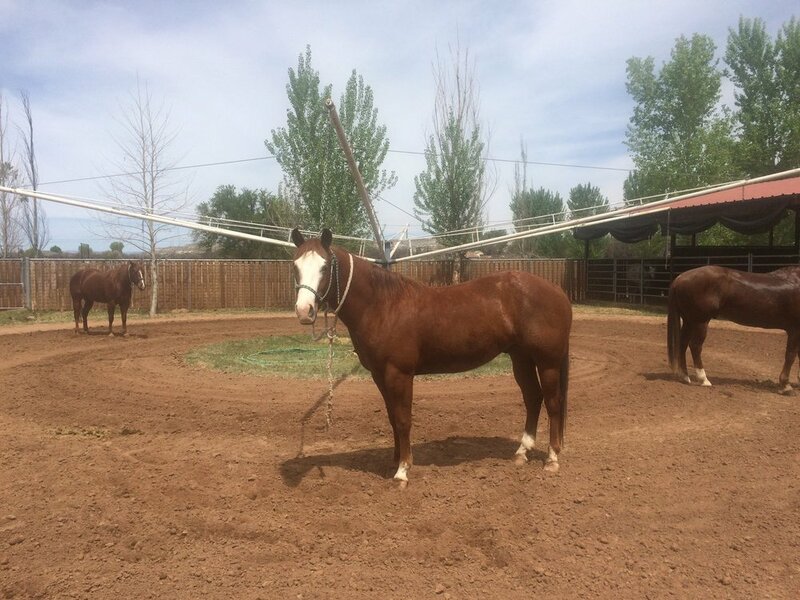 The horse is now showing again as an Open Working Cow Horse. 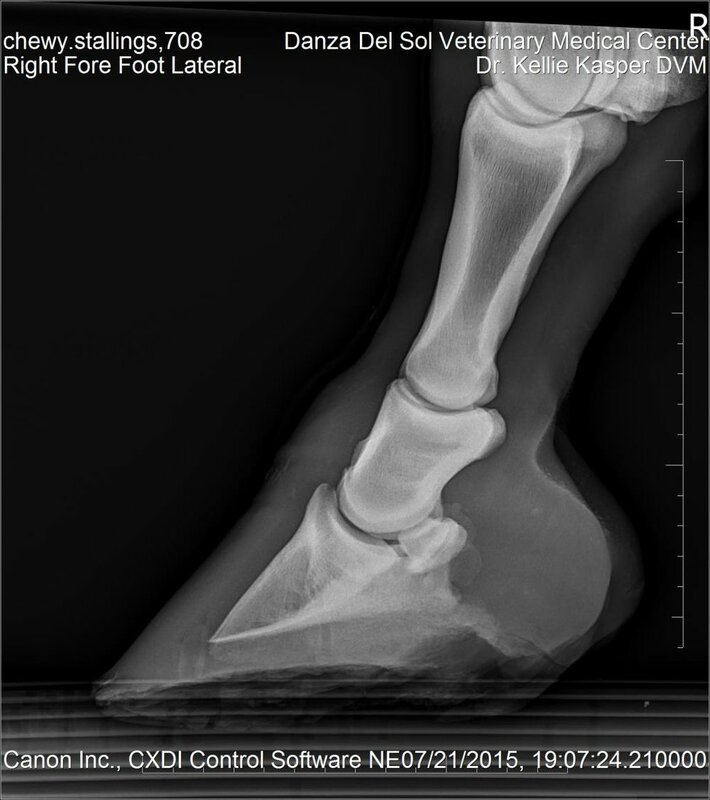 February 2016: “Toe coming off the ground” due to multiple ligament injuries. 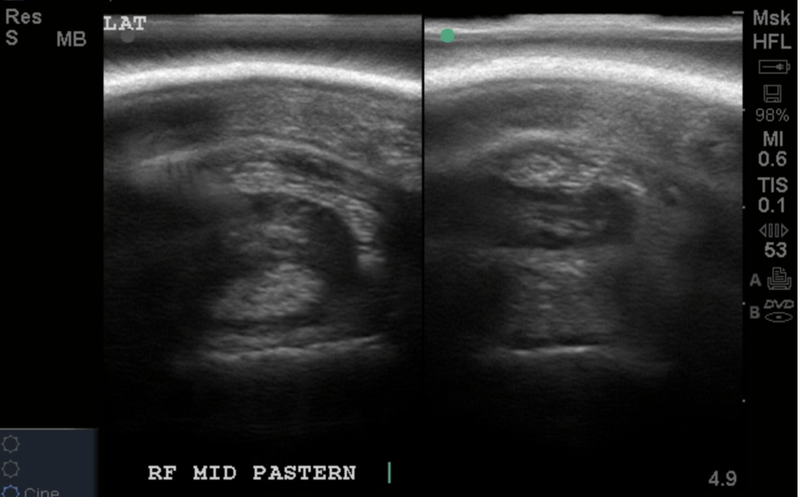 “Mid pastern has an anechoic space.” Dr. James Foley, DVM. We're happy to share more experiences and answer your questions. Call Karen at 520.548.6732 to schedule an appointment.